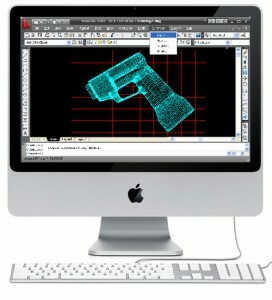 A couple days ago, Mac:Design (a new site by Develop3D) posted an article speculating about AutoDesk’s potential development of AutoCAD for the Mac OS X platform. Yesterday, Yanko Design followed up with a quick link to the AutoDesk survey about moving the software to the platform. You can also take the survey to contribute your opinion. It seems like it’s certainly in the cards, especially following AutoDesk’s development of AliasStudio to the Mac platform. The AliasStudio move is huge for many product designers. Having AutoCAD for OS X would open up the platform for a number of other creative and technical professionals. With tools like SolidEdge, iRhino3D (in development) and AliasStudio, the platform is becoming more viable as a product development environment than it has been in the recent past. Last year I sent an email to Autodesk explaining how a couple of my fellow landscape architecture colleagues (including my director) would prefer to use Mac OS X through their Mac laptops (via their external monitors) at work rather than Windows on the company’s generic PC. I hope I have helped spawn the development of a Mac version of the brilliant AutoCad application. I almost hope that never happens. Because my company will never buy me a license for my laptop or buy me a Mac. I don’t think it’ll ever happen. Autodesk people are just plain brain-dead. I switched to Archicad 12 – had enough of broken Windows.